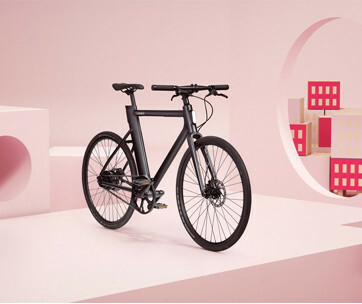 Your bicycle is your pride and joy, your vehicle to good health, your fun-mobile and a whole lot more. So when you have to leave your bike somewhere you want to know without a doubt that it’s going to be there when you return. Whether or not it is often depends on where you leave it locked up. Attach it to the wrong sign post or parking meter and you could incur the wrath of officialdom. Lock it to the wrong fence or handrail and you could find a home or business owner took exception to your choice. And, of course, lock it to something flimsy or lock it in an ill-advised manner and you could arrive back where you left it just in time to watch some weasel ride away with it. 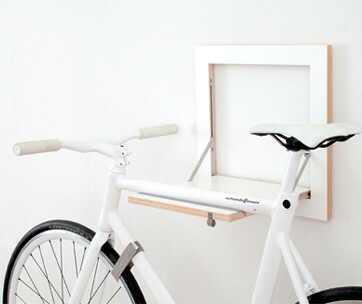 In this article we’ll look at the best places to lock your bike in the big city. ● The Bike Rack – Duh! Right? Of course, but it needs to be said anyway. The good news is that today private businesses, hospitals, real estate developers, municipalities and others understand the value of the bicycle to keeping a city’s streets clear and its air clean. As a result there are many more bike racks around now than there were in your parent’s day and they often represent the most secure anchor for your bicycle. The problem with bike racks though is that they’re not always where you want them to be or empty. For instance, maybe the hospital has a rack that holds 200 bikes but it’s 4 blocks from where you’re going or the city installed one near your destination but it only holds a dozen bikes and it’s always full. ● The Parking Meter – If you’re unable to find a bike rack the parking meter often represents your next best option. That’s because they’re (unfortunately) plentiful in most cities and they’re built to withstand a nuclear blast. If you’re going to lock your bike to a meter it’s best to do so on the sidewalk side rather than the street side because not everyone knows how to park. Also, if you lock your bike to a meter associated with a handicapped space you may return to find the city has removed and impounded your bike and you’ll only get it back after paying a hefty fine. ● Sign Posts – Sign posts are the anchor of last resort simply because they’re flimsier than either a parking meter or bike rack. Also, if the sign post is not that tall weasels have been known to actually lift locked bikes up over the top of the sign post and carry them away. It doesn’t happen often but it does happen. You also have to be careful what sign post you lock your bike to. If you secure it to a bus stop sign post you could again return to discover the city has removed your bike and is holding it ransom. Same with sign posts that designate loading zones or handicapped spots. ● A Tree – Trees have a hard enough time in the city as it is without being used as bike racks. Besides just respecting this living thing you should also keep in mind that if you lock your bike to a small tree a determined thief could cut it down and walk off with your bike. ● Handrails – Handrails exist to give people who need it something to help them get up and down the stairs. Locking your bike to them sort of negates their usefulness and makes things tough on the elderly or otherwise infirm. ● Fences – Wrought iron or other types of fences are there to keep people out, not to invite bicycles in. Some fence owners get very upset if you attach your bike to their fence and you could return to your bike to find the fence owner made “modifications” to your pride and joy. 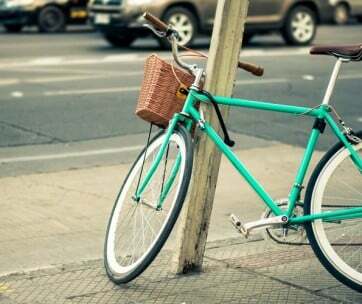 ● Other Bikes – Believe it or not some people actually lock their bikes to other bikes thinking they’re only going to be a few minutes so it’s no big deal. 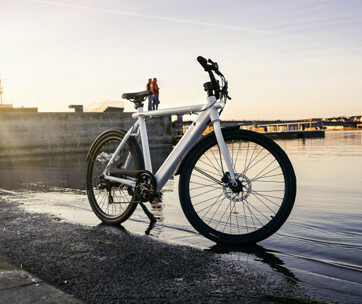 If the other bike owner returns to find your bike attached to theirs, however, it could become a big deal pretty quickly. ● Always take anything with you a weasel could easily remove from your bike like the front wheel, light, bike pump etc. ● Always use a U-Lock. If you’ve got serious doubts about bike safety, use two. Cables are okay as a way to lock the front wheel to the frame but they shouldn’t be your only lock. ● Make sure yours is not the least secured bike on the rack. Weasels look for weaknesses. Don’t give them any to exploit. 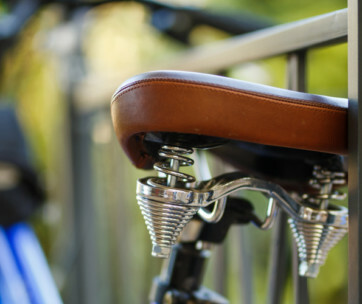 Keep these tips in mind and your bike should always be waiting for you when you return to it after your doctor’s appointment, errands or meeting.